I have a confession. 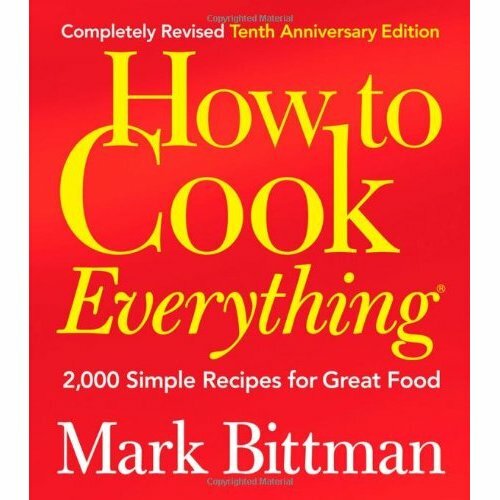 I did not know who Mark Bittman was until 3 years ago when friends from the US, Stacy and Greg, living in Singapore kept on mentioning or quoting him and this fantastic book on how to cook; in Stacy’s words, “Absolutely everything and the recipes are so easy to follow and practical”. I guess for a foodie like me, there’s no excuse for not being aware of America’s most well-known food writer, although such as it as sometimes between the Atlantic and Pacific Oceans. Only the other day I was having a conversation with an American on a particular wine and I referenced Jancis Robinson MW. He said, “Who’s that?” I said, “Well arguably the most well-known authority on wine on this planet”. He said, “Never heard of her”. So, whilst this does not negate my ignorance of American food writers, I just wanted to make this admission so readers in the US relate to my new found enthusiasm for this culinary tome. Actually, Stacy gave me a copy for Christmas 2009 and I would say there has hardly a week gone by when I have not used it. I actually use it as a research tool before Google, referencing produce, recipes and techniques as it is assuredly more accurate than a good deal of the contrived content on the web. Prior to my introduction to Bittman’s master work, I always used Stephanie Alexander’s “The Cooks Companion – The complete book of ingredients and recipes for the Australian kitchen” – yes, I know your saying, “Who? Alexander is the doyen of Australian cooking and there is a lot in common with Bittman’s volume, in that they are both centred on the home cook with straightforward practical advice, using the best wholesome organic ingredients with an emphasis on enjoying day to day cooking and dishes and meals that often take no more than 30 minutes preparation time. But I have to admit, Bittman’s book is encyclopaedic – like an Oxford Dictionary to food, and if you can’t find your schnitzel meat pounder, this does this book does the job more than sufficiently. It is mind boggling how many recipes and cooking antidotes this book contains, more than anyone could cook in a lifetime and it is completely astonishing how Bittman has managed to be a part of every word, recipe perfection and guidance. Just the sheer labour and time involved is nothing short of extraordinary; 2’000 recipes with hundreds of new dishes added since the last edition with everything from Pad Thai to the simplest whole Roast Chicken. Indeed, it has been a life’s work with this edition keeping up with the evolution, trends and demands (fashions and vagaries) of food, ever-changing yet always linked to tradition and time-honoured techniques. The cake baking, bread and patisseries attention to detail is incredible, and this is an area you can’t afford to cut corners and Bittman is an expert and completely thorough in this regard. 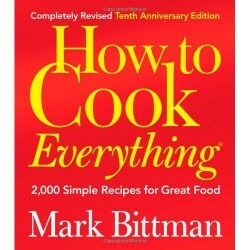 Above all, and what I like most about this book and Bittman’s ideology, it is all about cooking at home, simple recipes with more than half of them feasibly taking less than 30 minutes with no special equipment or complicated techniques. Moreover the emphasis is on fresh ingredients, healthy preparations and getting back into the kitchen – away from fast food, processed food, corn starch and all those modified ingredients. 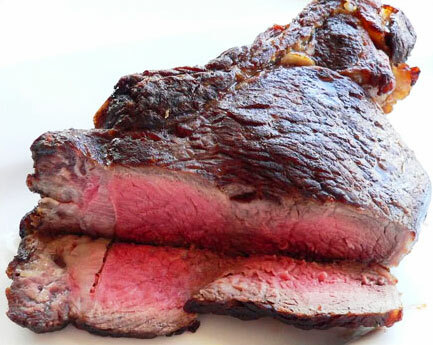 Bittman creates a whole new comfort zone for anyone to enjoy cooking and I would suggest, save a hell of a lot of money on grocery bills and general cost of living for any household. Bravo!